On Wednesday, the Rescue Team drove to Long Island, New York to release 7 of our 8 remaining Kemp's ridley sea turtles. It was quite the release for Gambit, Dazzler, Zan, Venom, Robin, Thor, and Daredevil (all introduced in Adam's last post)! Enjoy some great photos and a fantastic video of the event! We'll start with the best part... the video of course. Some of our fantastic volunteers and interns joined us for the roadtrip. Here they are getting ready to set the turtles free! A race to the water! 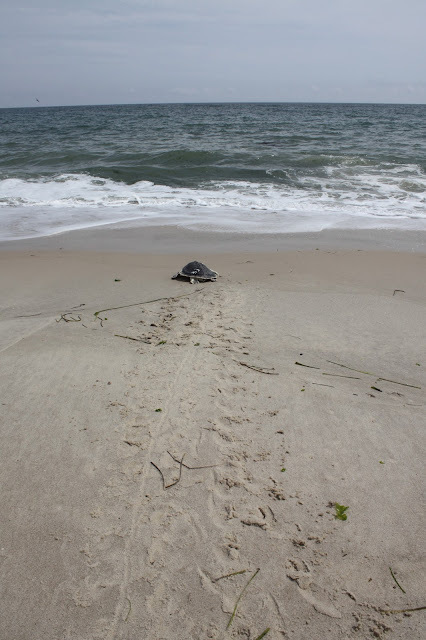 Two of the sea turtles had a sonic tag applied to their carapace by the Riverhead Foundation. 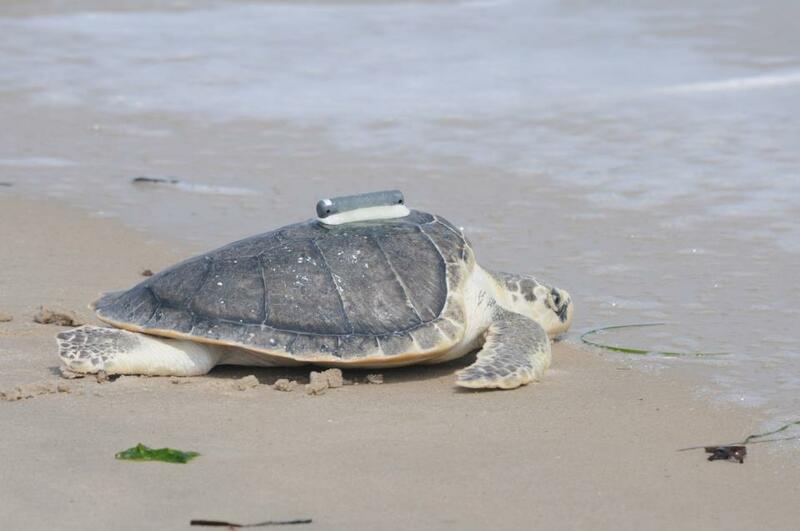 Unlike the satellite tags we have used in the past, this tag will allow us to see a general location as the signal is picked up by cell towers (instead of satellites that give a precise location). 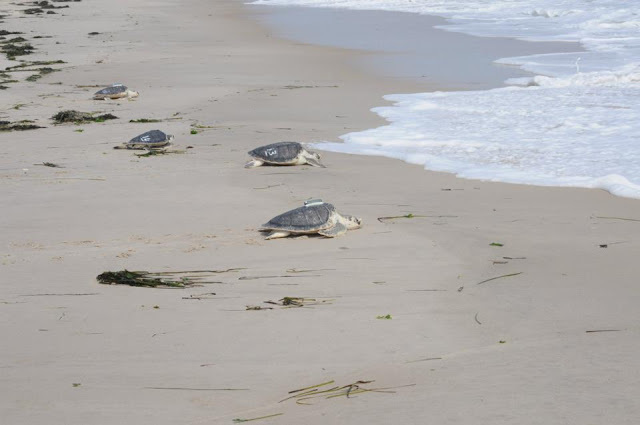 This will still help us determine if releasing from the south side of the island will help them avoid Long Island Sound (read more about this issue on last year's boat release post here). 'Zan' (#33) is the last to enter the water. ﻿﻿ It was a great day overall. 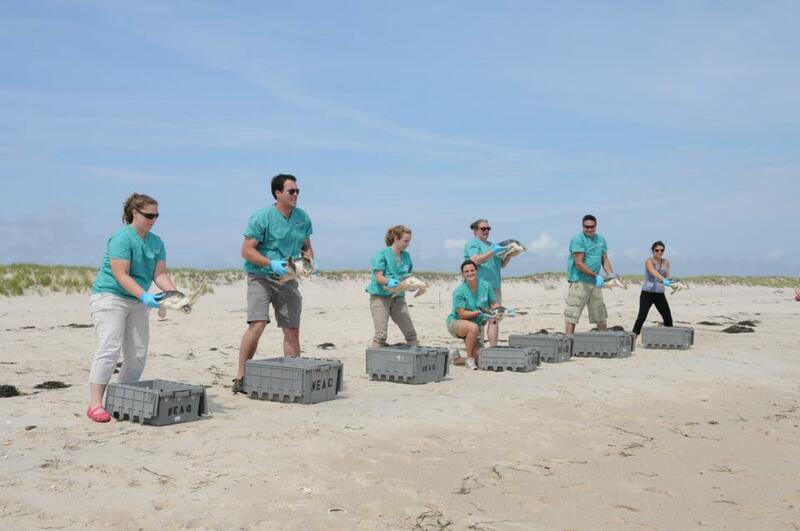 A special thanks to the Riverhead team for the help in organizing this release and for the sonic tags. We hope the turtles are enjoying their return home!